Welcome to Juvo Leads! 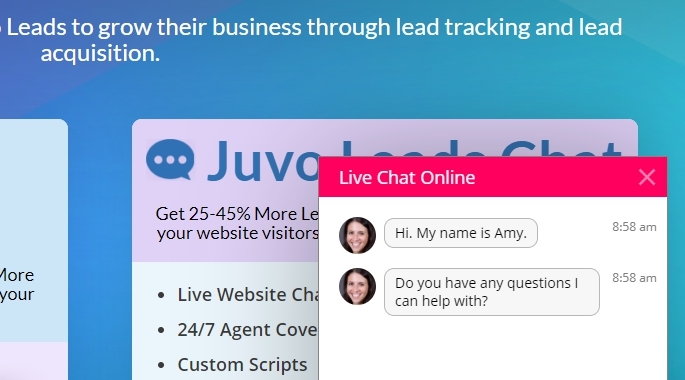 This is short guide on how to get started with Juvo Leads. Please use this guide to get fully set up. Summary at the top. Juvo leads Team Will be notified automatically once settings are updated. 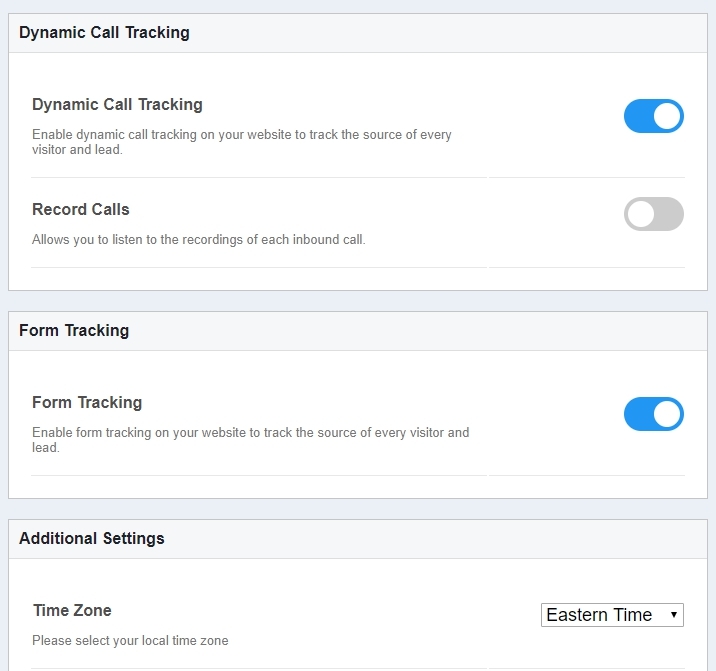 Check to confirm call tracking and form tracking are working properly. Once chats scripts have been reviewed by you our someone on your team please notify your account manger via email. When logged into your agency account click “Add Website” in bottom left corner and pop-up will appear. 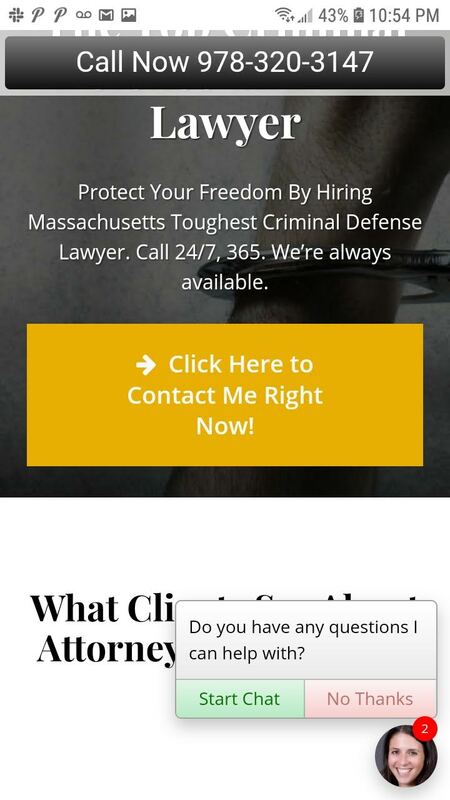 Please enter the firm or businesses name, url, and main phone number. Under lead notifications please enter any MOBILE numbers that would want to receive an SMS Alert when a lead comes in as well as any email addresses that would want to be sent and email notification when a new lead comes in. Then hit save. 2. 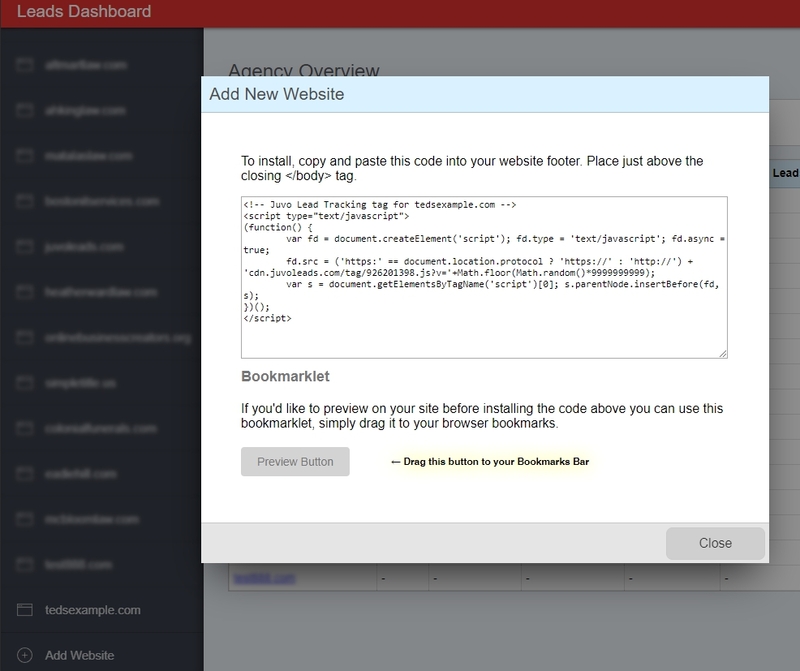 Install Code – Next you will be presented with a custom piece of code that you need to enter on your website. We call this code your “Tag”. Please Copy and paste the code below into your site footer. Place just above the closing tag. You can use Google Tag manager if you’d like and if you’re using WordPress please use these instructions. Your account will remain inactive until your account manager at Juvo Leads reviews your settings and creates chat scripts for review if you’re using chat. 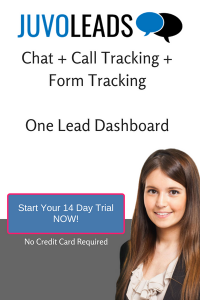 Even if you’re not using Juvo Leads Live Website chat we need to do out technical checks once that tag has been installed to assure the form tracking and phone tracking working properly. Business Phone Number – this will be the number that is swapped out with a dynamic call tracking number on your website. 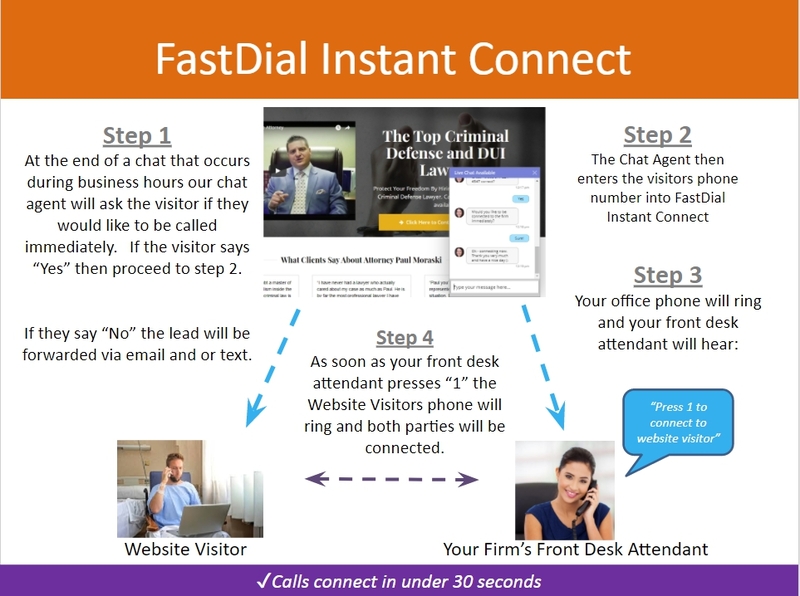 Fast Dial – Chat Connect. At the end of chat we ask if the visitor would like to be connected immediately. If they say “Yes” the business or firms phone will ring and the website visitor will be on the line. Click here to see how it works. Widget Color – the bar on top of your the chat pop interface. Below the widget color is pink. Please enter every email that you want to send email notifications when new leads are acquired. Please also check off the boxes next to each lead type. In the exmple below we see “ted@juvoleads.com” will receive email alerts for Chat Leads, Phone Leads, and Contact form submissions. 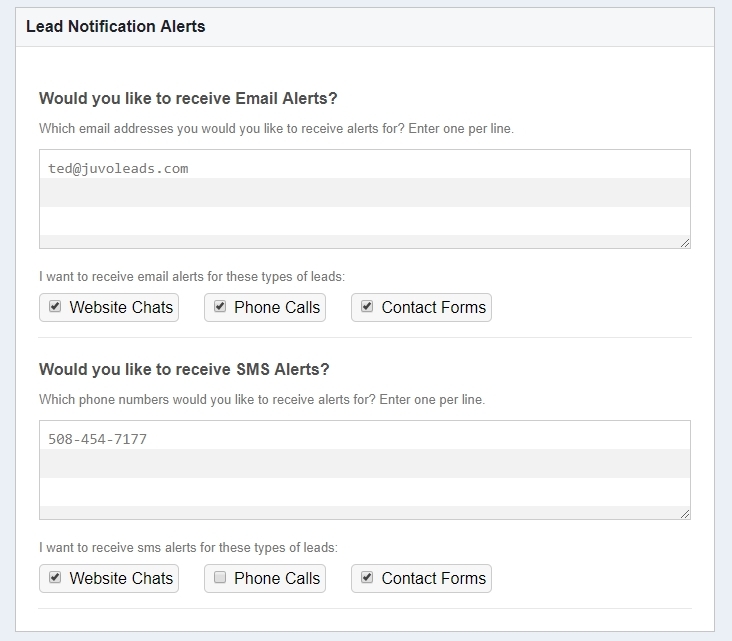 The number listed under SMS alerts will receive SMS Alerts for chats and contact forms only. Mobile Click to Call is a “Sticky Bar” the floats at the top of you mobile website. We highly recommend turning this feature ON if you don’t have a sticky phone number bar already in place. See example below. Google Analytics integration is on by default. Please note to pass conversion data into Google Ads you must set this up on your end. Here are instructions for setting up Google Analytics and Google Ads Integration. URL Exclusions – if you want to exclude chat on certain pages please enter those urls here. This is typically used if there are pages that drive a lot of chats but the traffic yields limited “Good Leads”. Customized CRM – what you see below are the default status options. The first four listed; “Good Lead, Bad Lead, Not a Lead, & Signed Client” are the default tabs. 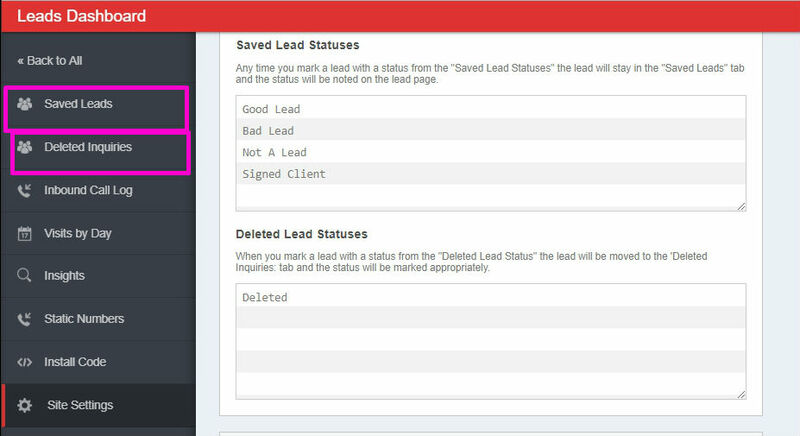 If any of the above statuses are selected the lead will stay in the “Saved Leads” tab. The “Deleted” Status mean it will move leads to the “Deleted Inquiries” tab. You have the option to change these statuses to what you want. 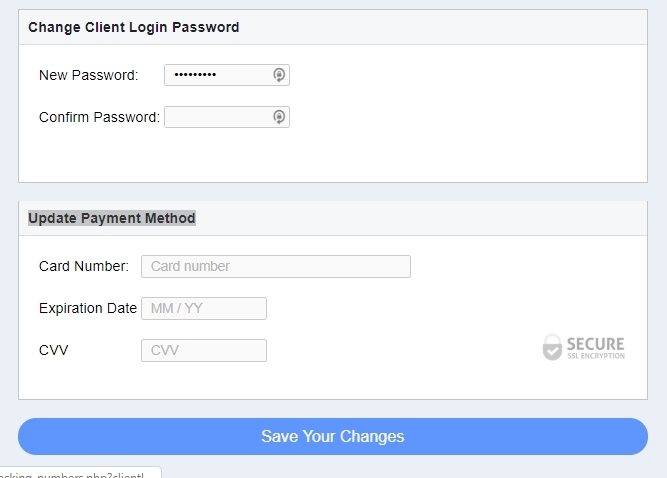 Change Client Login Password – your clients password reset. The single license client login is always the website URL but here you can set the password. Update Payment Method – most agencies pay for the dashboard and have their clients pay for chat and then we invoice the end user directly at the end of the month. If this is how you arrange your agency please have clients enter their payment information here. ***Important*** Always click “Save Your Changes” after making any changes. A. Create chat scripts and send you a link to the sheet to review. B. Run technical checks to ensure call tracking and form tracking are working properly. 5. Review your chat scripts if chat is selected. Then notify your account manager that chat scripts have been reviewed. 6. 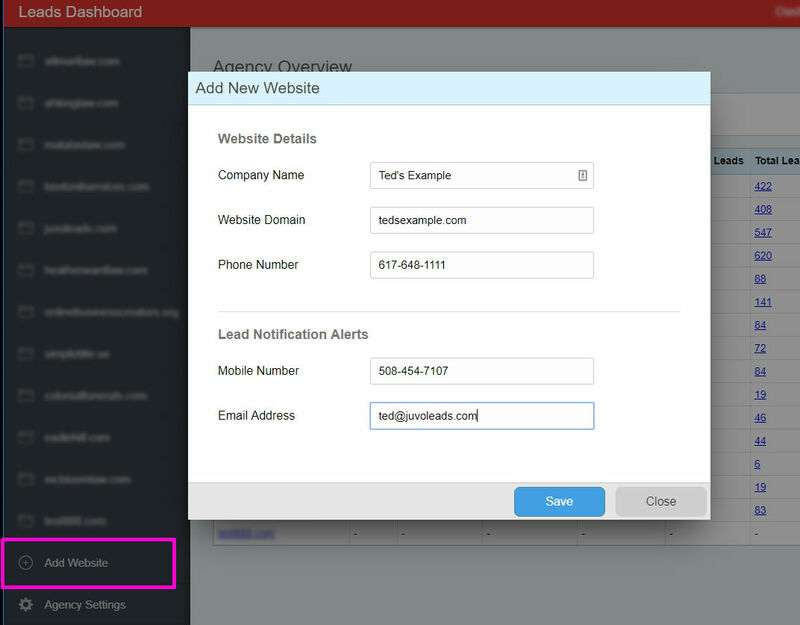 Your account manager will then add those scripts to your account and turn on Juvo Leads!